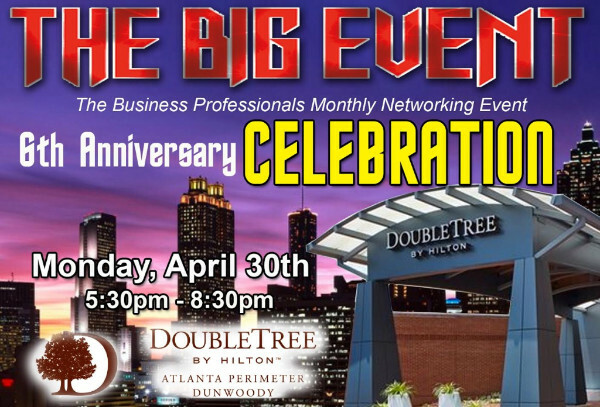 Atlanta’s Top Business Networking Event. Whether you are from Fulton, Gwinnett, Cobb, Forsyth, Dekalb, Cherokee, Dawson, Paulding, Douglas, Hall, or Walton. No other event draws people from this wide of an area. 100’s of Business Professionals coming from all over Atlanta. This is a great opportunity for you to be an exhibitor.